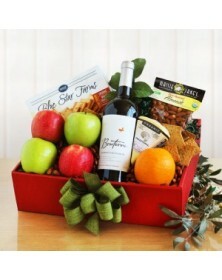 Fruits pair well with just about everything, from a warm cup of coffee or tea to sweet cookies to savory crackers. 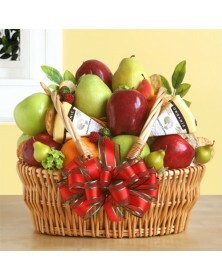 We took this into consideration with our fruit gifts. 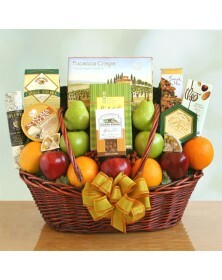 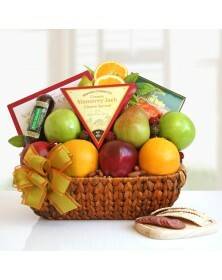 Containing some of the most popular fruits, each gorgeous basket includes a combination of apples, oranges, and pears with cheese, wine, sweets, or crackers. 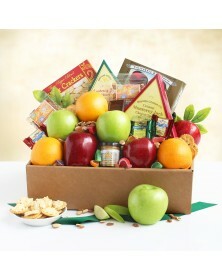 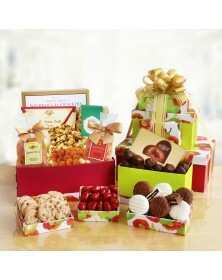 With so many choices, each fruit gift offers a plethora of possibilities for snacks and desserts. 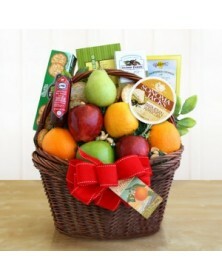 As some of our most popular baskets, fruit gifts fit in with nearly every occasion. 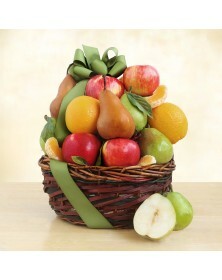 For meaningfully saying “thank you” or “congratulations,” celebrating a holiday or event, or attending a get together, our fruit baskets are the right complement. 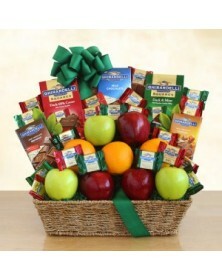 Surround An Array Of Ghirardelli Chocolates.